We provide a wide range of data collection services, all available on a fee-for-service basis to clients both internal and external to the University of Chicago. We can carry out an entire project from start to finish or just help you with one or two pieces: consulting to help you through your own data collection process, questionnaire design, pre-testing, hosting a web survey you’ve already designed, a formal training session for your interviewers, etc. We can print and deliver paper questionnaires for mail, intercept or leave-behind surveys. If you are fielding your own instrument, we can help design attractive, user-friendly printed formats. We also put together custom mailings for advance letters, reminder post cards and more. We host a 12-station CATI (computer-assisted telephone interviewing) center. We use the CATI center to conduct telephone surveys and to prompt participants to complete surveys sent by mail or email. We call in both English and Spanish. In addition to surveys, we have also used our CATI center to carry out studies with experimental “mystery shopper” designs. We run online open-access, controlled-access, site intercept and site-embedded surveys, with a number of configurations possible. We provide flexible e-mail services for sending tailored invitation and reminder emails to large groups or subsets of participants. 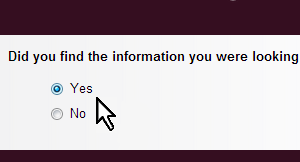 We program and host most internet surveys in Qualtrics, but have some custom options available. We specialize on the South Side of Chicago for field work, but work in the greater Chicago area as well and have fielded in-person surveys with partners in areas as diverse as New York City and Nashville. We conduct in-person surveys in English or Spanish. Our iPads allow sophisticated CAPI (computer-assisted personal interviewing) data collection and we have experience collecting biological measures such as height, weight, blood pressure and blood spots. We often work across modes to improve response rates. For example, we can follow up a mail survey with a web option, or follow up a phone survey with in-person recruitment efforts. We work with clients to create versions of their surveys that are as comparable as possible across modes. Interviews can be conducted in-person or over the phone, depending on location and cost. Interviews can be taped and transcribed, or we can take detailed notes. We can also help with coding transcripts and notes for qualitative analysis. The Survey Lab has a focus group room with one-way glass to allow for researcher observation. We conduct focus groups as stand-alone research or as part of the survey design or evaluation process. We also conduct post-survey focus groups to better understand or elaborate on quantitative findings. Depending on your needs and budget, we can help recruit participants, moderate and take notes, procure participant incentives and food, and arrange for rental locations. Some data can only be gathered through observation. Studies may be based entirely on observational data collection or may simply include an observational component. We develop taxonomies, collect geographical (GIS) data for maps, work with standardized observational rating scales and have experience testing for inter-coder reliability. 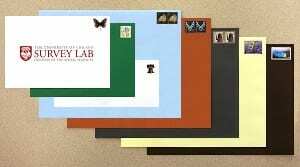 The Survey Lab hires, trains and supervises research assistants to carry out systematic observations using taxonomies, standardized rating scales or generalized ethnographic techniques. 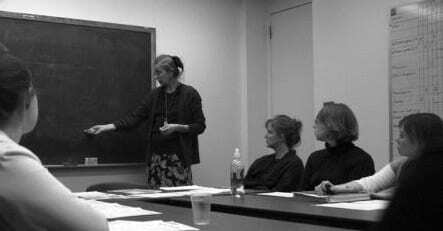 The Survey Lab offers custom workshops in social science research methods to small groups. Past topics include administering standardized survey interviews, conducting focus groups, designing paper and web surveys, and setting up data collection projects. We tailor each workshop to the needs and research background of the group. We can work with you to develop the right kind of training program to fit your research instrument by either bringing a team to your location or hosting your group in our center. Please contact us for more information. Your research question drives your research design. But narrowing your topic of interest to a focused question can prove quite challenging. We help refine your question and make choices about the type of data to collect and how to collect it. All research designs involve trade-offs. 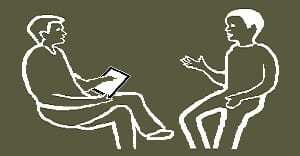 The Survey Lab provides consultation to help you set priorities. We can offer advice about where to expend limited resources to the greatest advantage. The Survey Lab provides consultation to help you develop a high-quality, engaging survey instrument. Strong methodological principles should guide the construction of individual questions and overall design of your instrument. We help author new questions, review existing surveys, format for paper administration, program online questionnaires, and perform pre-tests or more extensive cognitive testing of particular questions. Running a successful survey project requires attention to a number of details that, when missed, threaten the quality of your data and your ability to stay on budget. We advise and assist on any aspect of survey operations, such as printing and distribution, receipt control, data entry, interviewer training and supervision.